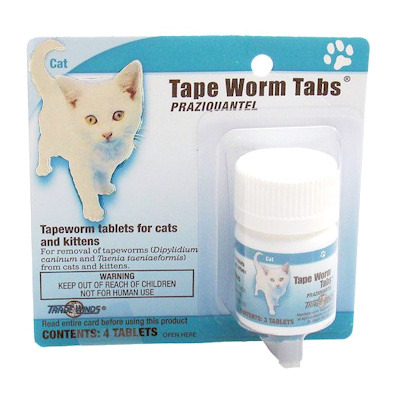 Tape Worm Tabs for Cats (4 capsules/bottle) is now available without a prescription. Removes both types of tapeworms in adult cats and kittens over 6 weeks of age. 100% safe and effective when used according to label directions. Sized for easy oral administration or may be crumbled and mixed with food. If mixed with food make sure all of the tablet is eating or all tapeworms may not be removed.